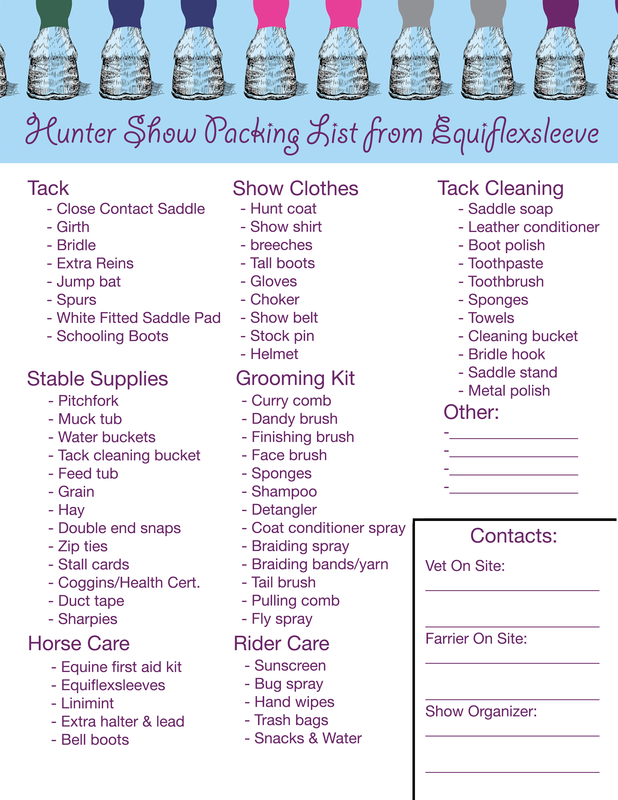 Equiflexsleeves are used by a variety of riders in nearly every equestrian discipline, so we’ve decided to embark on a series of discipline-specific horse show packing lists. If you’re hauling a horse to another premises, there are some things you should have with you at all times – an equine first aid kit is the first thing that comes to mind. Other items are very discipline specific – it wouldn’t serve you well to bring a stock tie and stock pin to a reining competition! 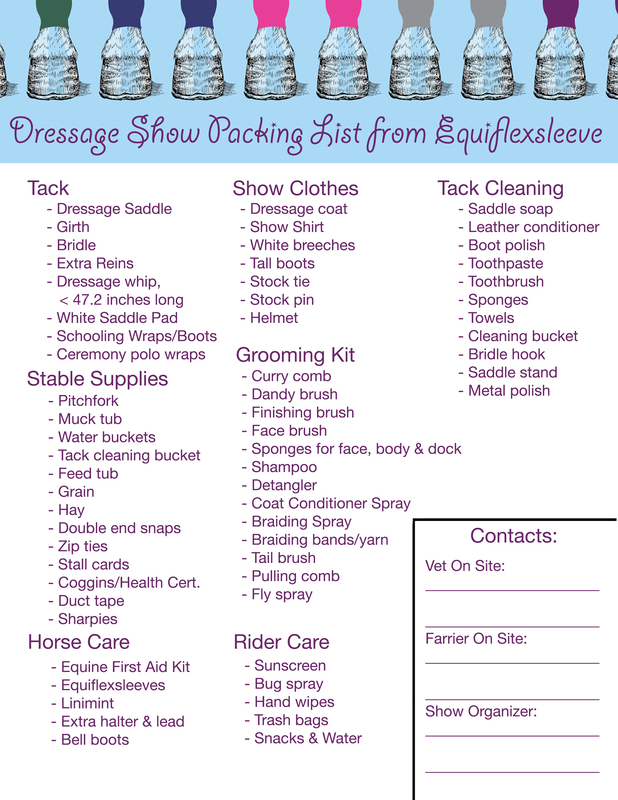 The first list in our series is our Dressage Show Packing List. 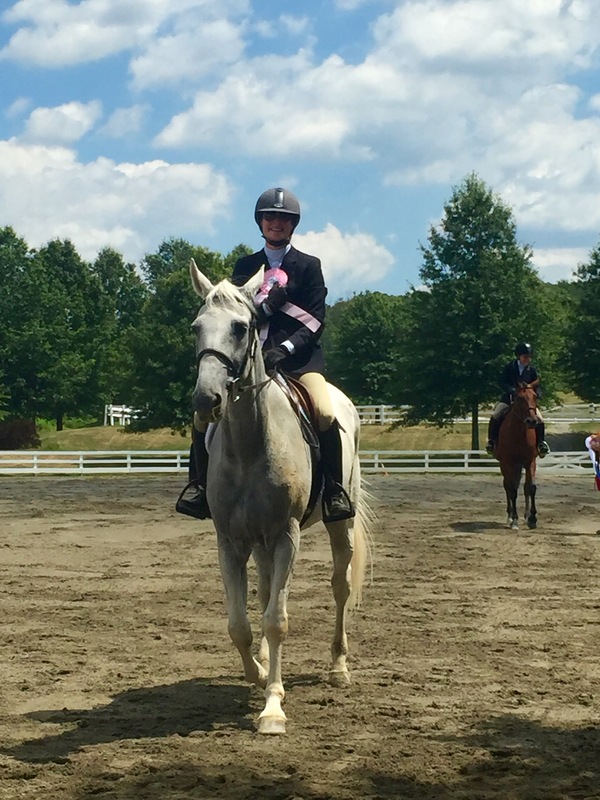 Dressage shows tend to be fairly simple to prepare for – unlike Hunter shows, you have a set ride time announced a few days before your show, and unlike Eventing, you only need to bring one set of tack. 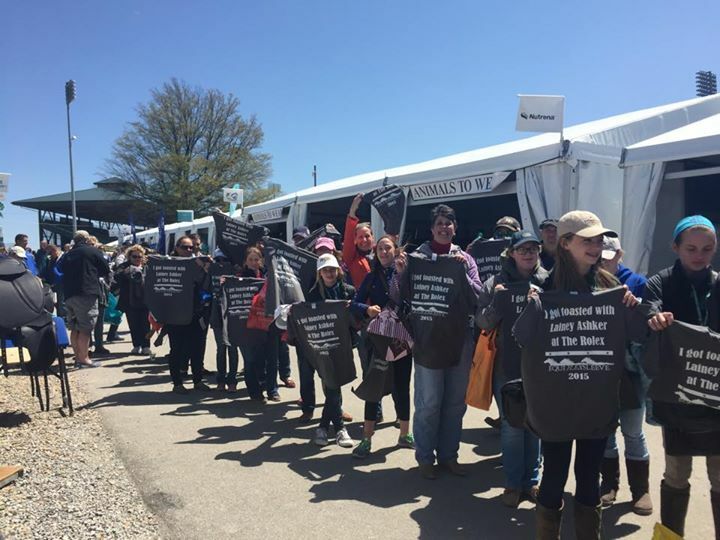 However, the intricacies of Dressage demand a different sort of preparation than other disciplines, and there are some rules that need to be understood before packing up your trailer to head off to a USDF sanctioned competition. Bits and Whips are two things that are checked on every competitor leaving the sandbox. 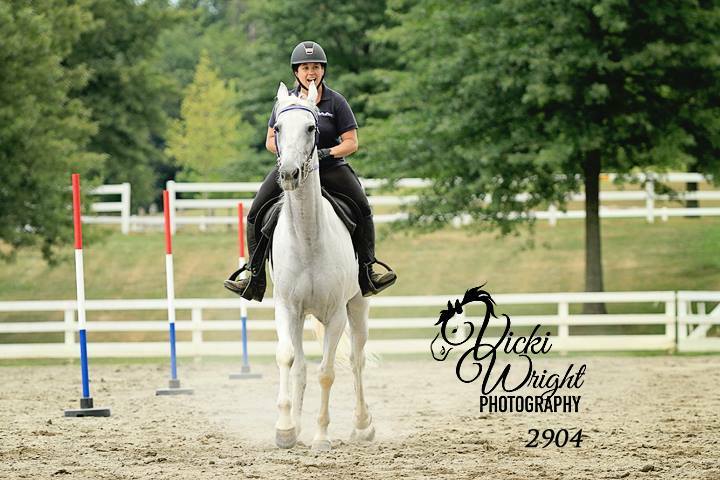 Your bit needs to be a snaffle bit if you’re riding in a single-bitted bridle, and many bits are illegal, so be sure to check out USDF and USEF’s Dressage Handbook. Whips need to be less than 47.5 inches long, including their lash. We highly recommend reading 50 Way to get Eliminated from USDF to make sure you’re familiar with all of the rules. Remember, save space in your show trunk and save time on show grounds with a pair of Equiflexsleeves, designed to take the hassle out of traditional standing wraps! Enjoy our printable, downloadable checklist below, and have a good ride! Click to download & print! World Mounted Games Team Championship! Equiflexsleeve had such a busy week! Not only were we exhibiting at the Chagrin Valley Hunter Jumper Classic, but we were also a sponsor at the Kentucky Horse Park for the World Mounted Games Team Championship!! Ponies and riders settled in at the Kentucky Horse Park and teams practiced all week for their chance at a World Team Title. This was the 29th annual IMGA World Teams Championship, and this year the US Mounted Games Association is hosted the event at the Rolex Stadium of the Kentucky Horse Park. Talk about a big-time stage! This was the first year that the United States hosted the event since 2003. The “home field” advantage went to Team USA and Team Canada, who were able to bring their own games ponies to Kentucky to compete. International teams have been practicing this week on borrowed local ponies who are experienced in mounted games, because importing horses for competition is an expense that would limit many competitior’s abilites to attend the Championships. The host countries ponies are rated so that teams cannot be “stacked”. 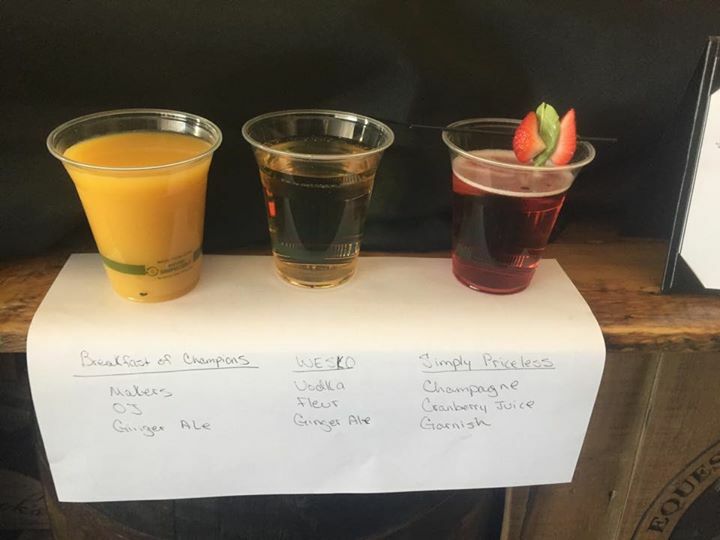 Competitions began at 9am Thursday and continued throughout the weekend. These games were intense – they involve galloping dismounts, vaulting, speed weaving, jousting, and moving objects from place to place at high speeds. Equiflexsleeve was also proud to provide the welcoming dinner & microbeer tasting at such a great event. 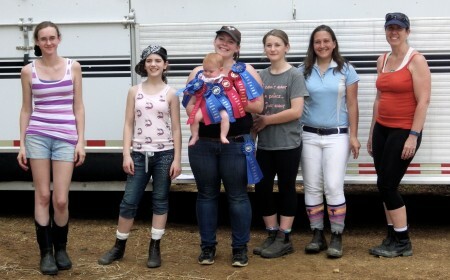 We were excited to watch these talented international riders learn their local ponies and compete in so many games. We kept up with the games (full games list ) and watched along on the live stream! It was the United States Team that came out as winners – CONGRATULATIONS TEAM USA!!! Happy 50th Anniversary, Cleveland Grand Prix! 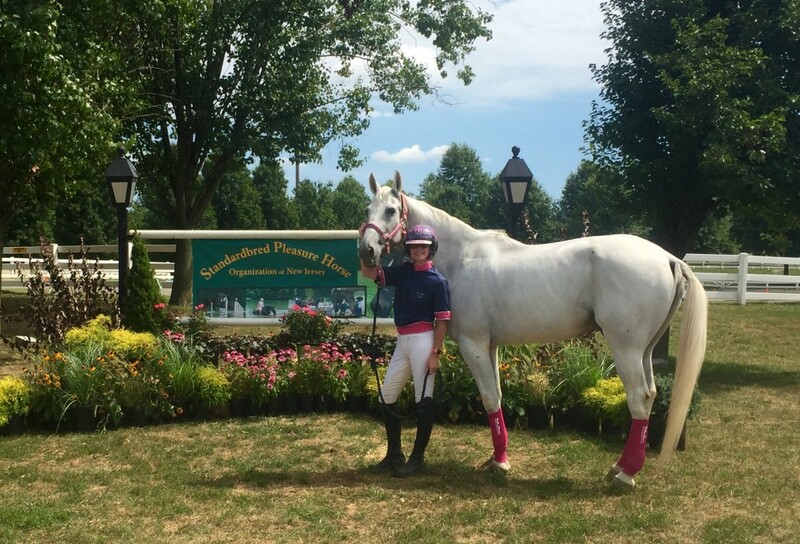 Equiflexsleeve was pleased to be a sponsor of the 50th anniversary Cleveland Grand Prix! 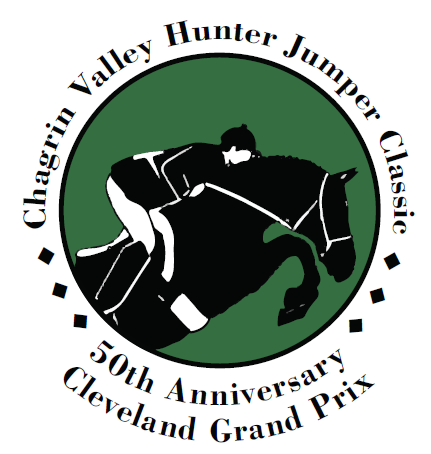 As a part of the Chagrin Valley Hunter Jumper Classic, this event is significant to us personally, and to all equestrians in the western hemisphere. Did you know it was the FIRST show jumping grand prix in North America? It was originally held in 1965 at the Cleveland Metroparks Polo Field – just a few miles from where Equiflexsleeve founder Mary Leibold grew up. 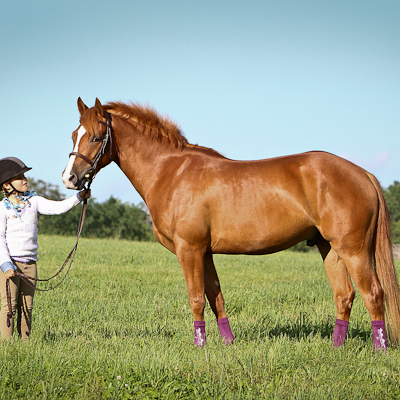 While riding at the Hunt Club as a child, she was introduced to the show and spent her summers attending the shows, braiding for others, and enjoying the festivities – so it was a no brainer to debut Equiflexsleeve at the show back in 2012. The first Cleveland Grand Prix helped launch a new wave of popularity for Show Jumping, and since the very first event, Grand Prix have popped up in all corners of the continent. Mary Chapot and her incredible chestnut mare, Tomboy, were the first winners of the very first Grand Prix. In the following years, many of the world’s best riders took the Cleveland title, including Michael Matz, Rodney Jenkins, Greg Best, George Morris and Bernie Traurig. Margie Engle has won the event an incredible TEN times, including a stretch of seven wins within a ten year period, from 2000-2010. 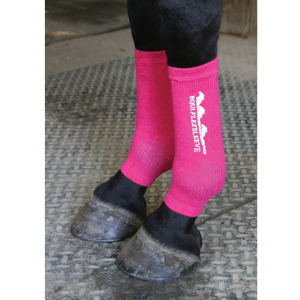 Equiflexsleeve’s launch was held at the pavilion on the jumper arena in 2012, and we celebrated our one year anniversary at the show in 2013. The 2014 show, sadly, was cancelled, but now they are back – big time! The entire Ohio equestrian community came together to make sure this year was success, and that the show would live on for years to come. You can read more about the Grand Prix’s rich history on their website, or in their recently published book. This year, the $50,000 main event went off at 2:30 PM on Sunday, July 12th following an hour of parade and festivities. 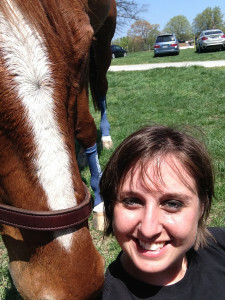 Huge congratulations to home-town Grand Prix winner Jennifer Waxman aboard Shakira!!!! It was a fabulous return of the show and we sure saw those Equiflexsleeves out and about! 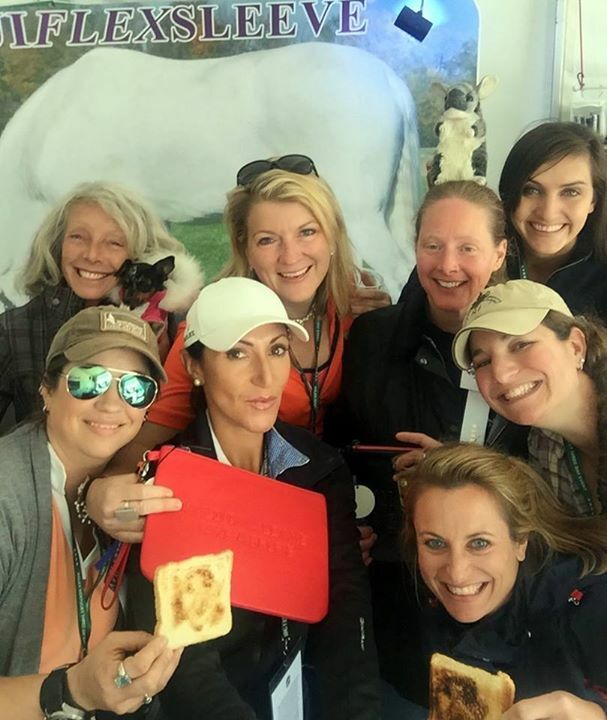 This week’s #selfiesunday was submitted by Samantha Silver, who rides and trains with the original #selfiesunday poster on our blog, Laine Ashker! This weekend she was at a show with her horse, and got to try out the Equiflexsleeves and sent us some great fun pictures to use in our blog. Thanks, Sam and we can’t wait to see you at Rolex next week as we cheer on Laine! Jimmie Echo is a 2003 Pennsylvania bred Thoroughbred with 23 career starts both on the flat and over hurdles. He retired in 2009 and Samantha has owned him since 2010. 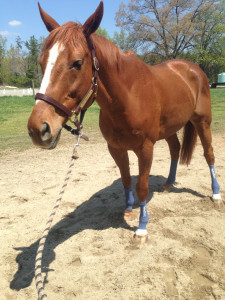 Echo had surgery in 2011 for bilateral hind suspensory ligament injuries. 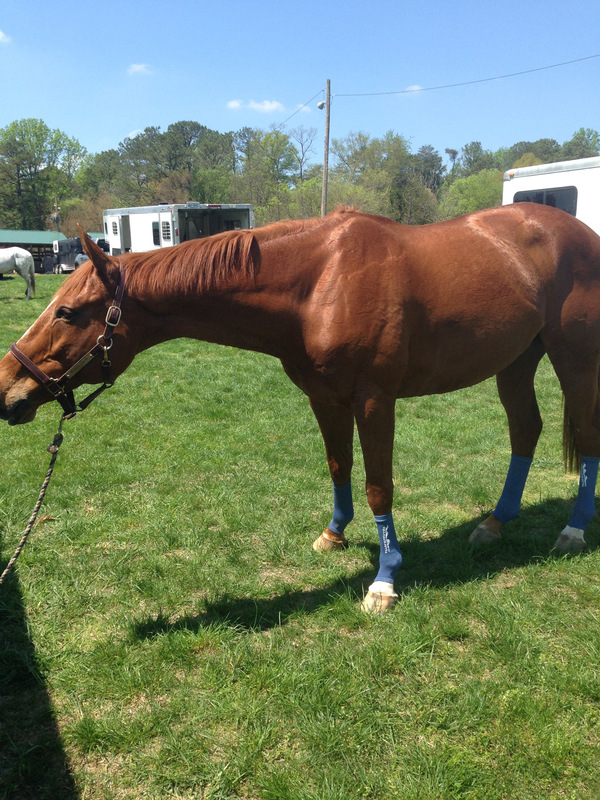 Since then he had returned to full work and he has competed up to Novice level eventing and first level dressage. 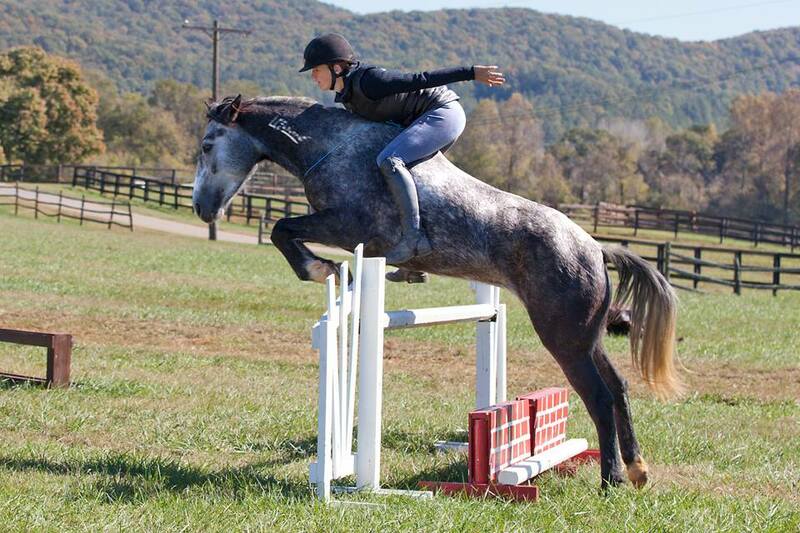 Samantha and Echo compete in other English disciplines such as the jumpers, hunters and pleasure. 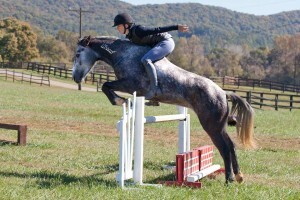 They do all the Thoroughbred shows possible! Echo must have known he had an awesome new product to try out today because he placed 2nd in the beginner novice division at a local horse trial. After cross country, Samantha watched the instructional video and then put Echo’s sleeves on. 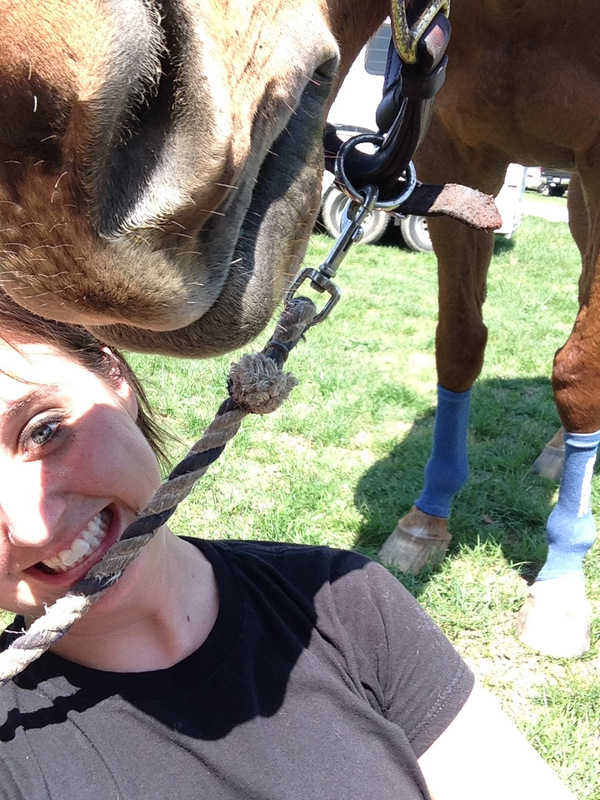 Everyone at the show was fascinated and impressed when told what his cute socks actually do!